The holidays simple aren’t complete without cranberry sauce – every dining table needs a bowl of it. Right? If you’re like me I know what you’re thinking: “Eww, cranberry sauce. That jelly-like gelatinous stuff that makes an unpleasant suction sound as it oozes its way out of the can.” I agree: The canned stuff is anything but appetizing and for that reason I’ve always avoided it. But this…this is different. 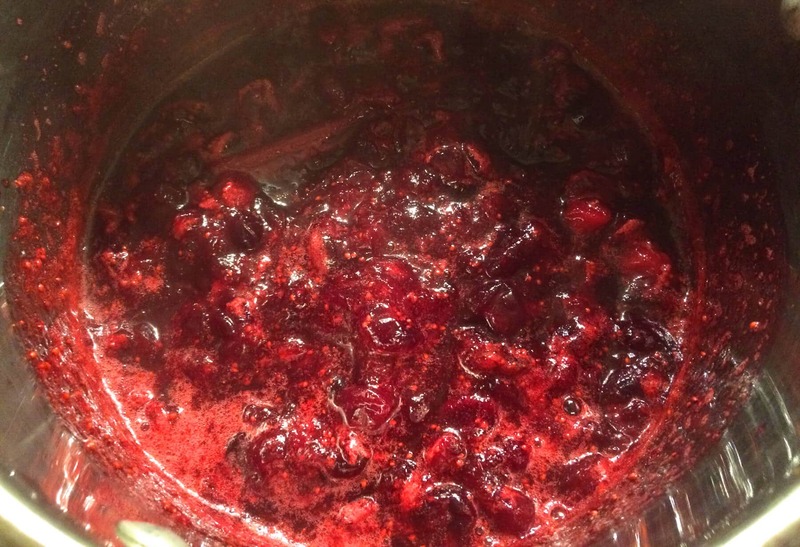 Homemade cranberry sauce is not only tolerable – it’s delicious! Really, there just isn’t any comparison and so if like me you’ve always hated the canned stuff, give this homemade cranberry sauce a try and you may just change your mind. 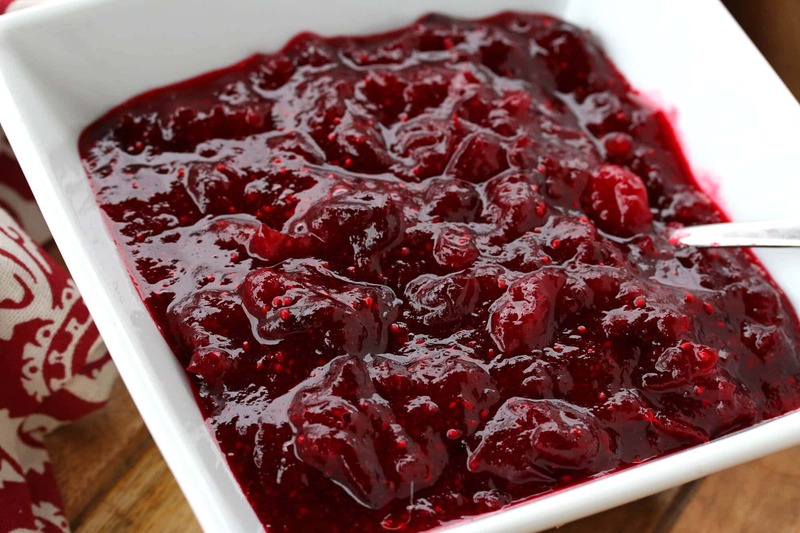 This cranberry sauce is not only the perfect accompaniment to your roast turkey, it also makes a great glaze for chicken, pork and even beef. You can also turn it into another condiment by adding it to your favorite BBQ sauce for a scrumptious holiday twist. Spread it on your sandwiches, add it to your wraps, put some in the crock pot along with your usual ingredients for pulled pork, or enjoy it in sweet baked goods like muffins, scones and tarts. Let your imagination run free! It will take you less than 15 minutes to whip this up and it will store in the fridge for at least a couple of weeks. Bring the orange juice, sugar, salt, cinnamon (see note in recipe box) and cloves to a boil and stir until the sugar is dissolved. Add the cranberries and orange zest and simmer over medium-low for about 12 minutes until the cranberries have popped and are soft. If you prefer your cranberry sauce extra chunky, add in another 1/4 cup or so of cranberries and simmer for another minute or two. Let the cranberry sauce cool completely and then refrigerate in a non-reactive airtight container for up to two weeks. Let cool completely and then store in the refrigerator for up to two weeks. Serve this favorite tradition at your next holiday gathering and watch your guests "ooh" and "aah" at the wonders of homemade cranberry sauce! 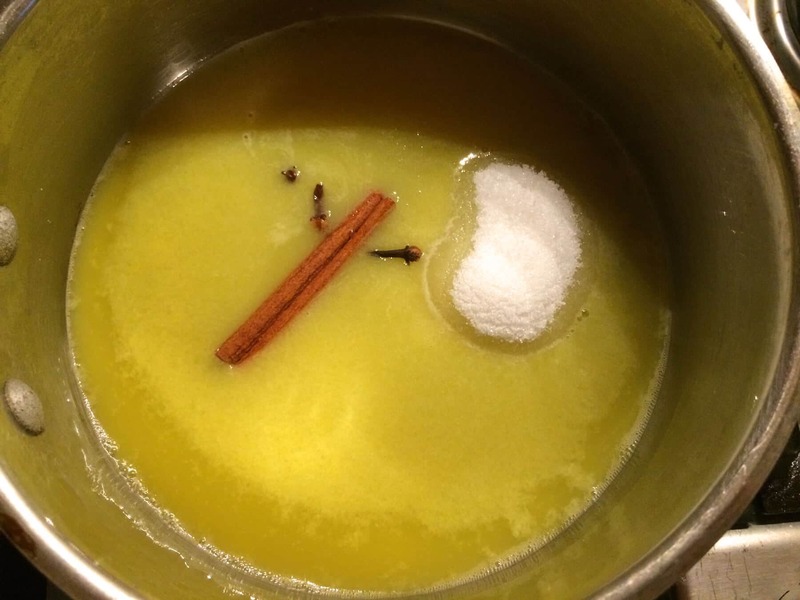 Bring the orange juice, sugar, salt, cinnamon and cloves to a boil and stir until the sugar is dissolved. Add the cranberries and orange zest and simmer over medium-low for about 12 minutes until the cranberries have popped and are soft. *If you prefer your cranberry sauce extra chunky, add in another couple of tablespoons of cranberries and simmer for another minute or two. The cinnamon is optional depending on whether you want that flavor profile in your cranberry sauce. You may wish to leave it out if you're using this sauce as a condiment for turkey or as a sandwich spread. The cinnamon is a great addition though if you're using the cranberry sauce as a glaze for roasted meats or in baked goods like muffins and scones. YUM! I love fresh cranberry sauce (as opposed to that icky canned stuff) and LOVE the idea of using this as a glaze for meat. I’ve never done that before, but I’m definitely gonna give it a go now because this stuff is my fave! So pretty! I bet it tastes as great as it looks! I am a big fan of homemade cranberry sauce! Looks lovely! 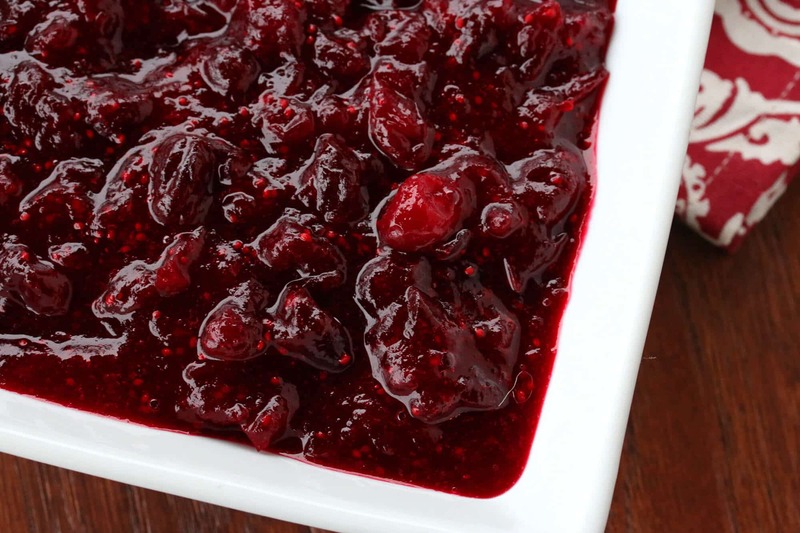 I want to eat cranberry sauce ALL year long! Homemade cranberry sauce is the only way to go. I toss a sweet apple in mine with the cinnamon stick. I’ll have to try your recipe with the orange juice. Yum! I love cranberry sauce, but hate that canned stuff. Totally making this homemade version! Your fresh cranberry sauce looks amazing…I agree, the canned stuff is awful. 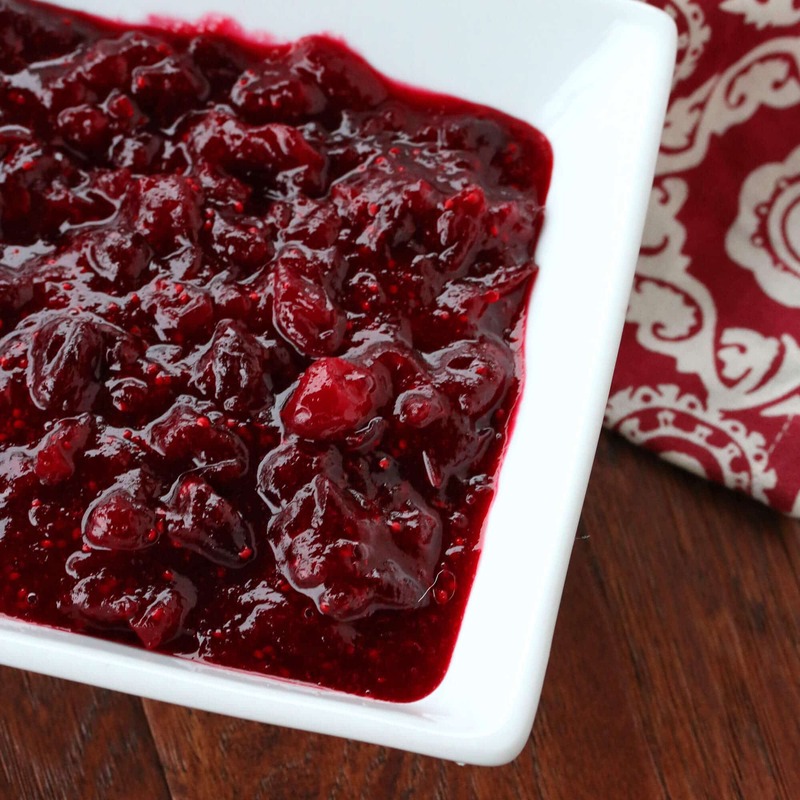 I love homemade cranberry sauce – it’s such a necessary addition to a holiday meal! Looks great, cranberry sauce is everybody’s favorite! 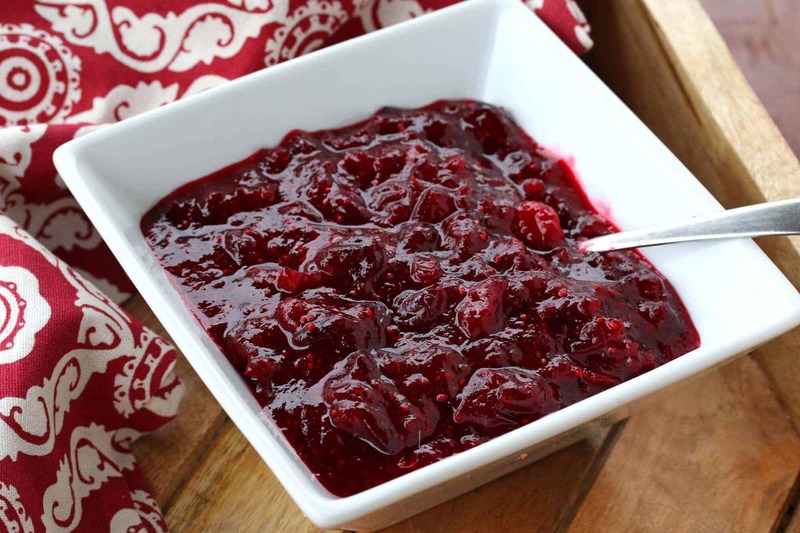 I love homemade cranberry sauce! This recipe sounds so good. 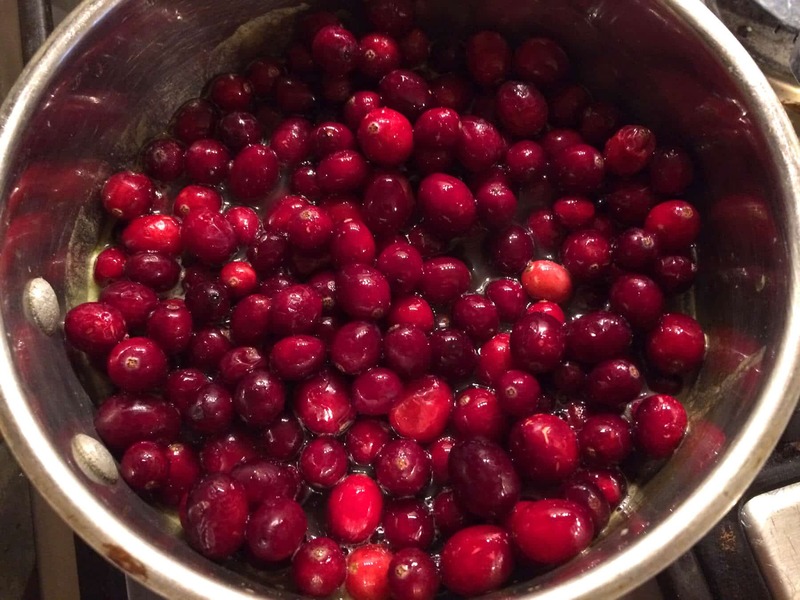 Scratch is the only way to make cranberry sauce. I like homemade cranberry sauce, pretty much any version I’ve tasted. However, I also like the canned which has the virtue of being easily available all the time. I like to slice it and put it on sandwiches, turkey for sure, but others too. I just love cranberries in all forms…Craisins over raisins!! YES, craisins over raisins any day, Mary Ellen! Actually, it’ll last for months in the fridge. In actuality, yes it likely will, Joan. I just provide the recommendations based on USDA guidelines. Sure, of course. Gotta follow the safe food guidelines. As I know from personal experience, food poisoning is no joke! But they’re so funny! Do you know they say whole grains will last for 6 months when tightly sealed, properly stored grains/ seeds will last for years! Just checked: Wiki says a 2,000 yr old date seed germinated. Ha! Geez, do they really say only 6 months?? That’s such nonsense. We have a lot of food storage that we’ve collected over the years – lots of years-old bins of grains and other dried foods, including some things we got from our parents that are over 20 years old and still perfectly good. And yes, the wheat found in ancient pyramids still sprouted after 2000 years. 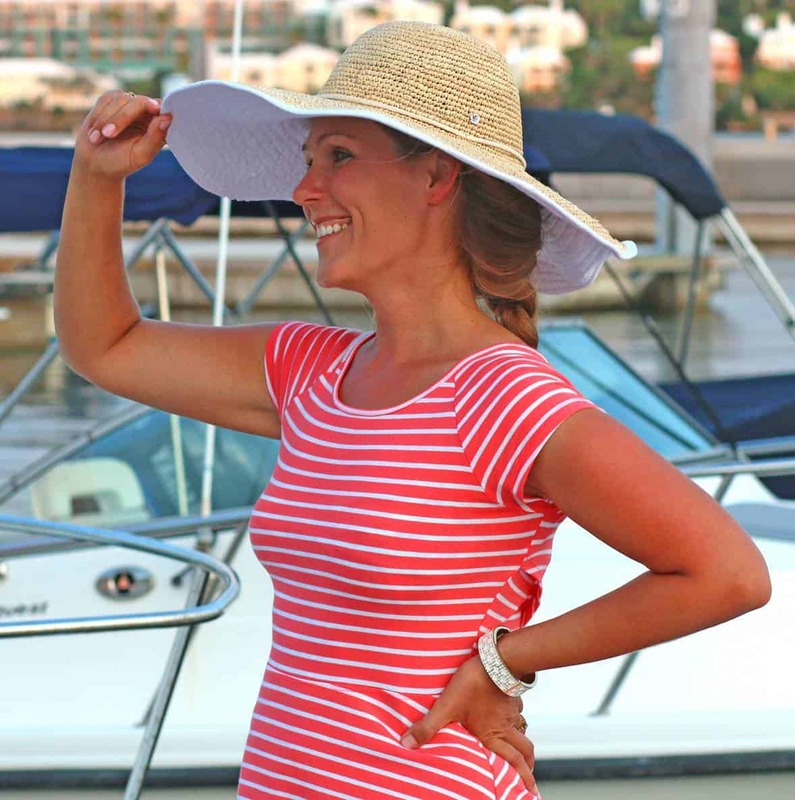 Though I play it safe when it comes to the guidelines I post in my public recipes, in our own home we take much of the USDA’s guidelines with a grain of salt. Thanks, Joan! :) And wild cranberries – that’s awesome!